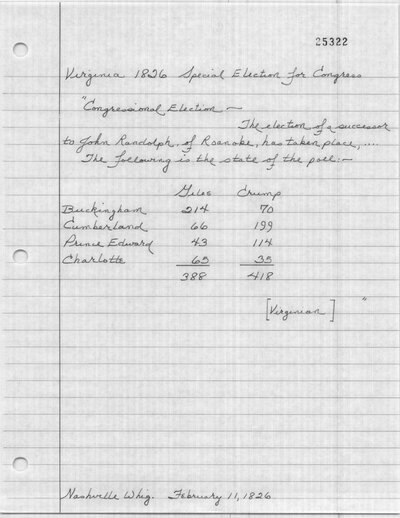 "The election of a sucessor to John Randolph, of Roanoke, has taken place." The Nashville Whig (Nashville, TN). 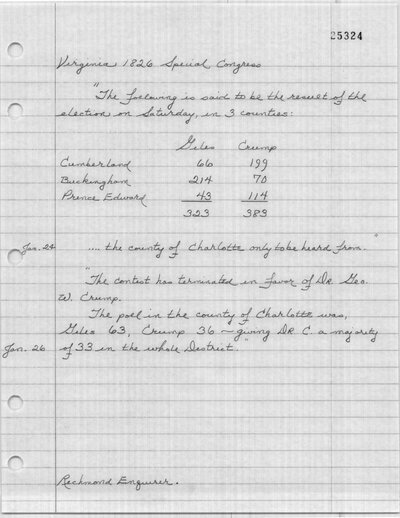 February 11, 1826. 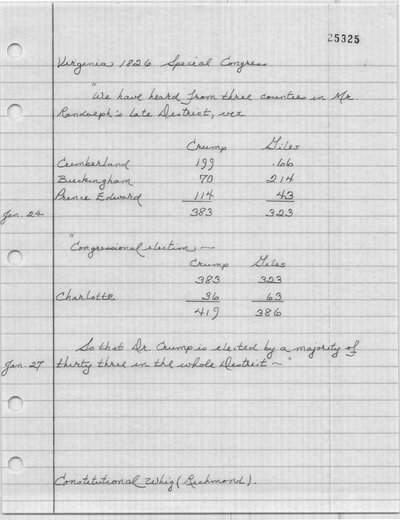 The Richmond Enquirer (Richmond, VA), January 26, and Constitutional Whig (Richmond, VA), January 27, list 63 votes for William B. Giles and 36 votes for George W. Crump. 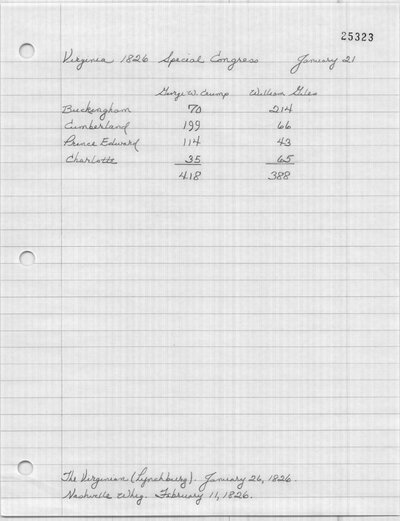 Prince Edward County Poll Book. Library of Virginia, Richmond. Constitutional Whig (Richmond, VA). January 24, 1826. Richmond Enquirer (Richmond, VA). January 24, 1826. Richmond Enquirer (Richmond, VA). January 26, 1826. The Virginian (Lynchburg, VA). January 26, 1826. Constitutional Whig (Richmond, VA). January 27, 1826. The Nashville Whig (Nashville, TN). 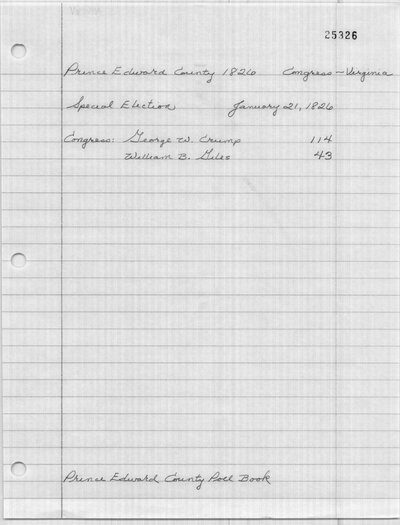 February 11, 1826.